Junior and starting small forward Soma Doherty breaks through Northwood High's defense to shoot for a two-pointer at the Game of the Week. Boys’ basketball (13-13) lost to Northwood High 39-40 on Jan. 25 during the Game of the Week in the gym. Students, parents, teachers and the cheer squads of both schools as well as ASB and jazz team filled the bleachers to root on the teams. In accordance with the “Silent Night” theme, the home stand remained quiet until the Bulldogs scored their fifth point. As junior and starting center Mohsen Hashemi scored the two-pointer that brought the score to 5-4, the home stand erupted into cheers. This energy continued throughout the rest of the game. With both teams playing with solid defense and aggressive offense, turnovers and fouls occurred frequently. The first half ended with a score of 16-15, with Bulldogs in the lead. At halftime, Junior Bulldogs in grades K-6 accompanied the cheer squad, followed by a raffle drawing from the Pink Ribbon Club and a performance of “Careless Whisper” from the jazz team. The gap between the scores widened to 30-18 with Bulldogs in the lead by the end of the third quarter. However, Northwood High caught up rapidly during the fourth quarter. With just 9.6 seconds remaining in the game, Northwood High scored a two-pointer that left the score at 39-40 in an extremely close loss for the Bulldogs. 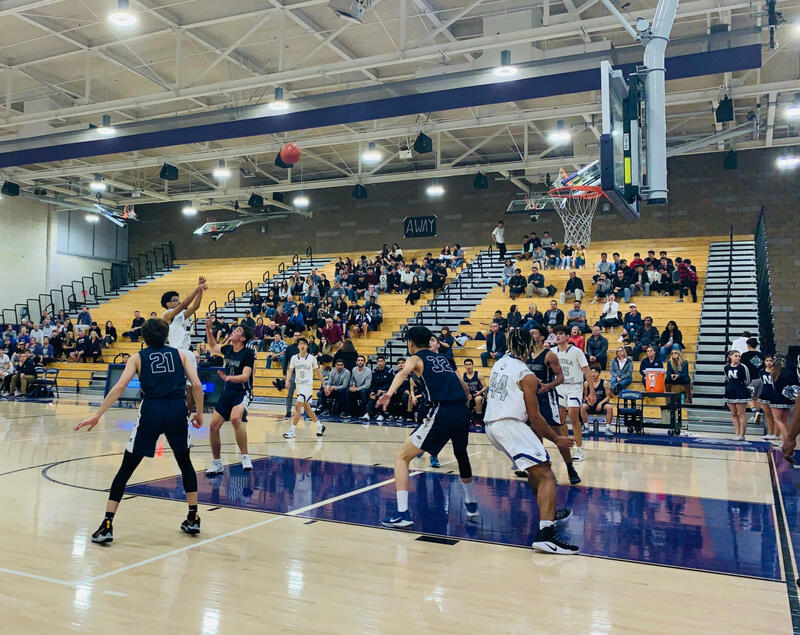 Boys’ basketball coach Brian Smith hopes the team will not let this defeat discourage them from finishing the season strong and working towards their long-term goals.